This entry was posted on 23rd June 2016 by Laura Silverman. Every spring Stephane and I have to go to Lake Como for work. Look, somebody's got to do it. 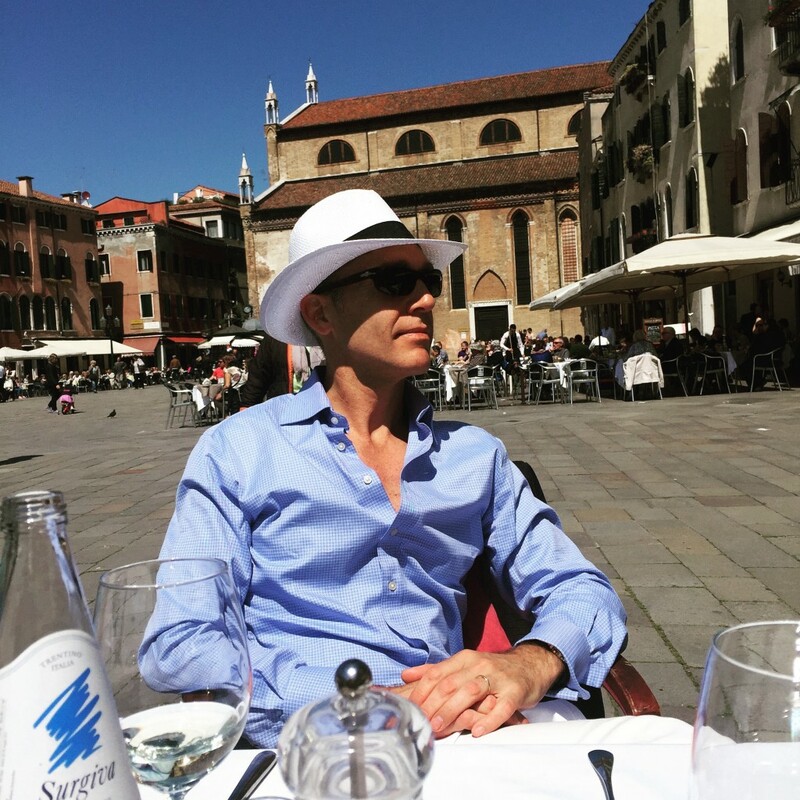 So while we have to be in Italy, we like to make the most of it and tack on a personal trip too. This year we opted for Venice because I had never been! Turned out, it was a grand choice. Honestly, I was a little apprehensive because I had heard that Venice could be very crowded with tourists. Coming from New York, about the last thing I want on a trip is to be jostled by hoards of people wearing fanny packs. 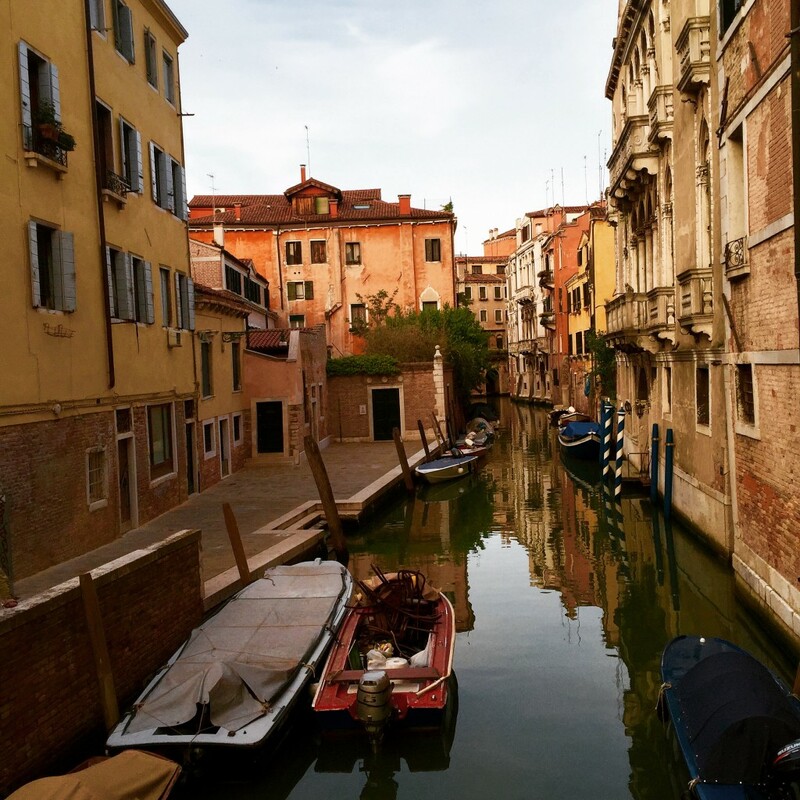 However, I do pride myself on extensive travel research, so I poured over articles about "off the beaten path" Venice. Lucky for us also, we have a Venetian friend and colleague, Andrea Rubelli, (you may have heard of his family if you know two hoots about fabric), who generously provided us with a copious list of suggestions of where to visit. 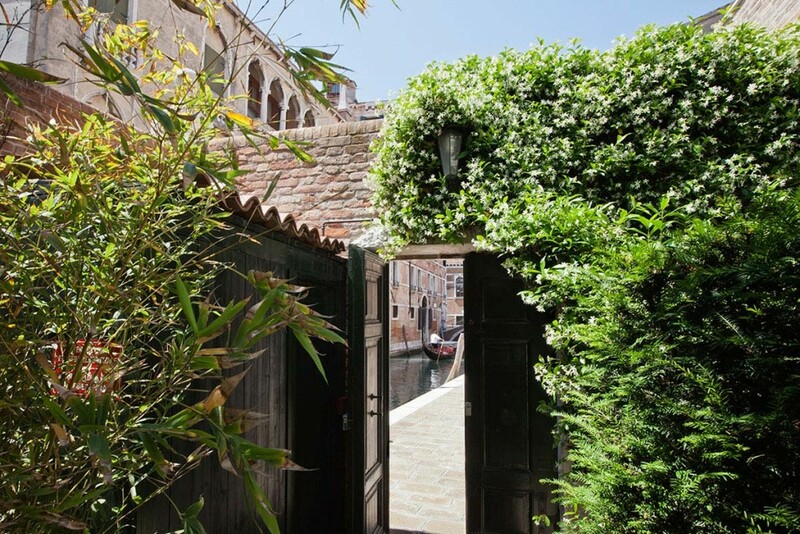 Since we are not exactly George and Amal, we skipped a stay at the Aman, and opted for the most charming hotel off a quiet street in San Polo, the Oltre il Giardino. This hotel was the former home to the composer Gustave Mahler, and has been renovated and kept in the most loving and tidy way. The staff was so sweet and helpful, and it felt effortless to start your day in their gorgeous garden over coffee and pastries. Venice is just so different than anywhere else, it is surreal. No cars, incredible architecture and history, water everywhere.... I mean, you ask for directions and you get, "Go over two bridges, take a left and go over another bridge, and it is next to the palazzo." I can't say I have ever had better seafood, or more creative fish focused meals than I have in Venice. Let's just say, we walked, and walked, and walked all over this city for hours a day, and I think I may have actually gained weight. 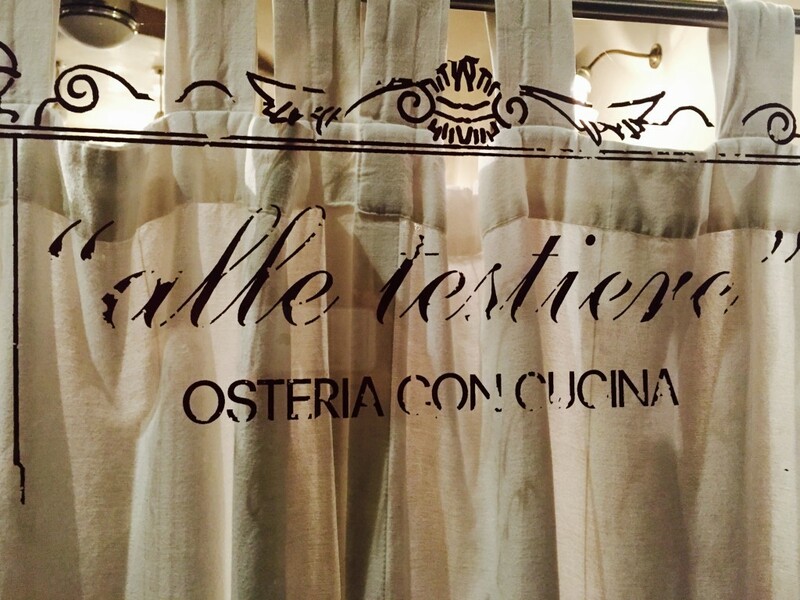 We did have one favorite meal, and this was at Osteria alle Testiere. The food was incredibly creative and delicious, but there was also this magic to the hospitality and energy of this place. We did not want to leave, ergo, we ordered a second piece of pistachio cake and had grappa for an hour before dragging ourselves back over the Rialto bridge. 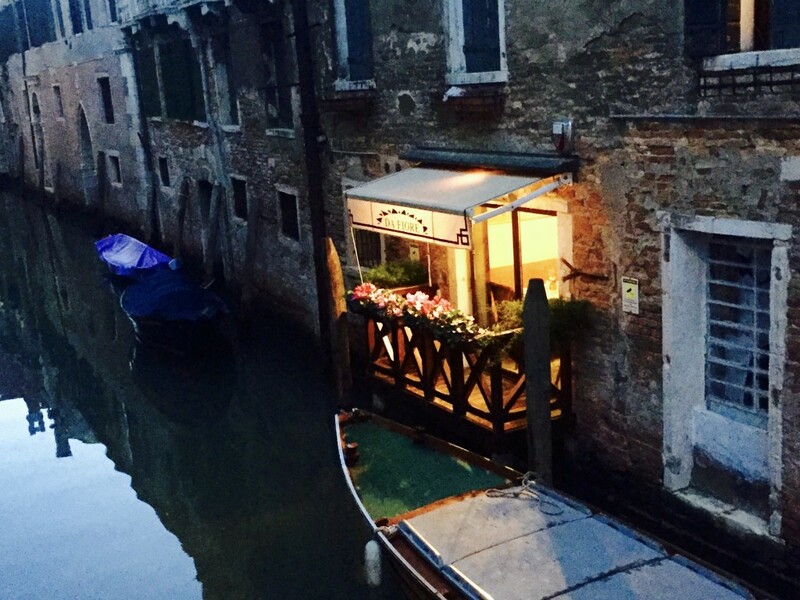 Our first night was a perfect intro to Venetian dining. The chef at Antiche Carampane must place an enormous fish order at the nearby Rialto market everyday. We had crudo, fritto, grigliata... all incredibly fresh and delicious. On our last evening, we ventured on a long walk to the more rustic Castello neighborhood. We stopped for sustenance and cocktails half way there at Harry's Bar. Touristy? 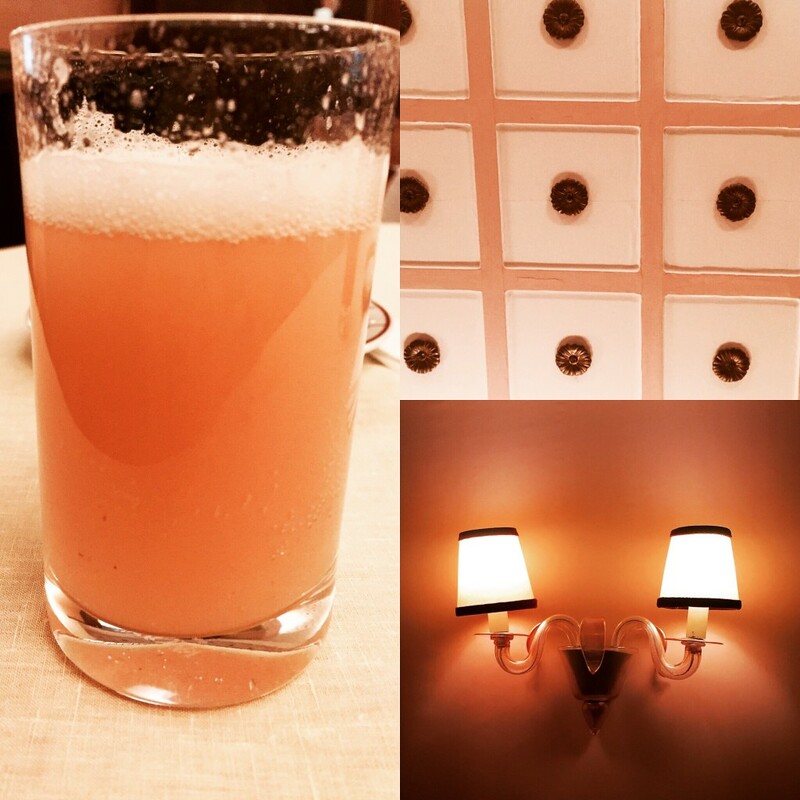 Yes, but worth it just to bask in the peachy glow of a bellini! Hey, when in Rome, errr Venice! 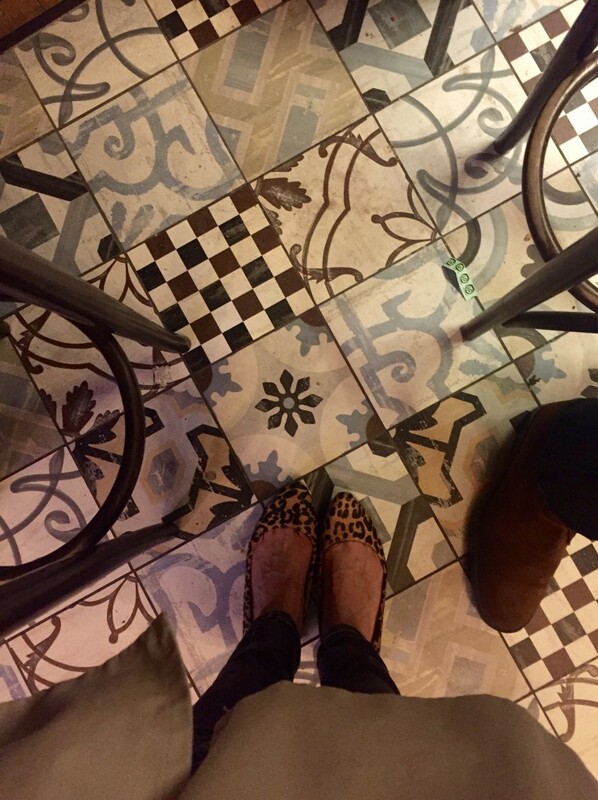 We had a late supper at the tiny Co Vino. The owner is young, cool, and very serious about wine. They have a very creative tasting menu, and it was theater watching the young chef paying such close attention to detail. Recommended to those who are willing to head off the path and try something young and new. Okay, we did more than eat in Venice... I absolutely loved the Peggy Guggenheim Museum. 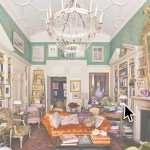 Her palazzo alone is worth the visit just to imagine what it must have been like to live in this glorious palazzo! 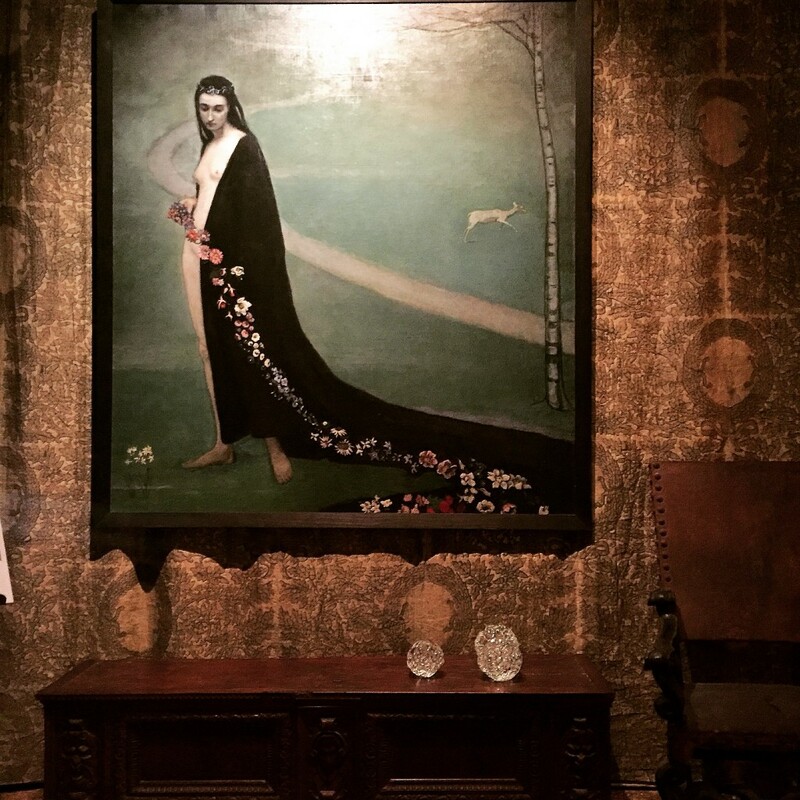 The collection is incredible with a focus 20th century American and European artists. Also worth the trip is the Fortuny Palazzo. Mario Fortuny used this palazzo as his own photography, stage design, textile design and painting atelier. I never knew what a Renaissance man he was. 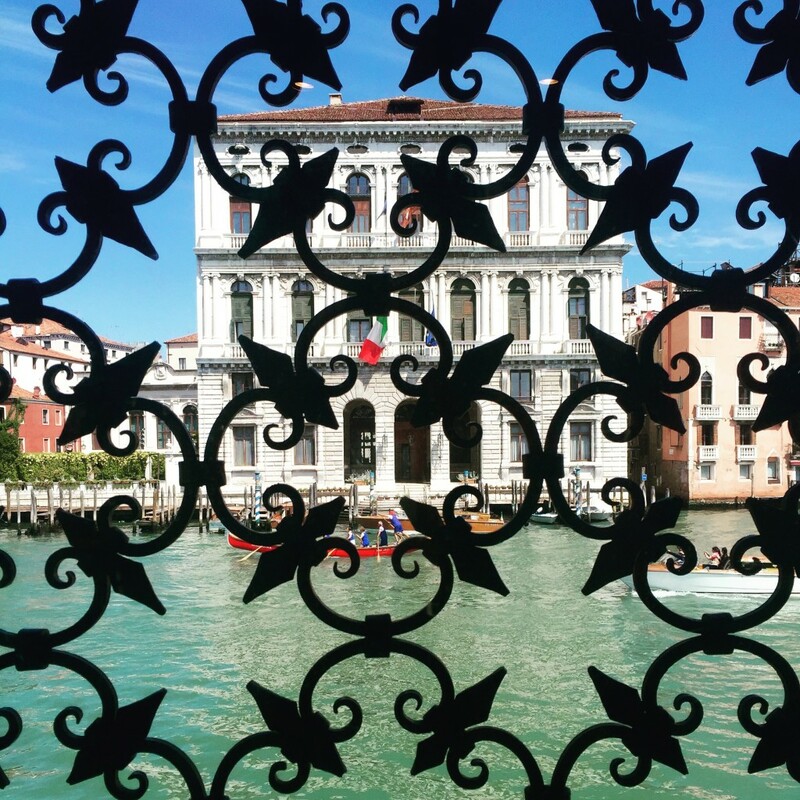 The palazzo was donated to the city of Venice in the 1950s by his widow. The museum has an intimate and personal feel, and it is such fun for textile junkies to see the upholstered walls and designs. After hitting the museums, grab a pick me up. Need great coffee? 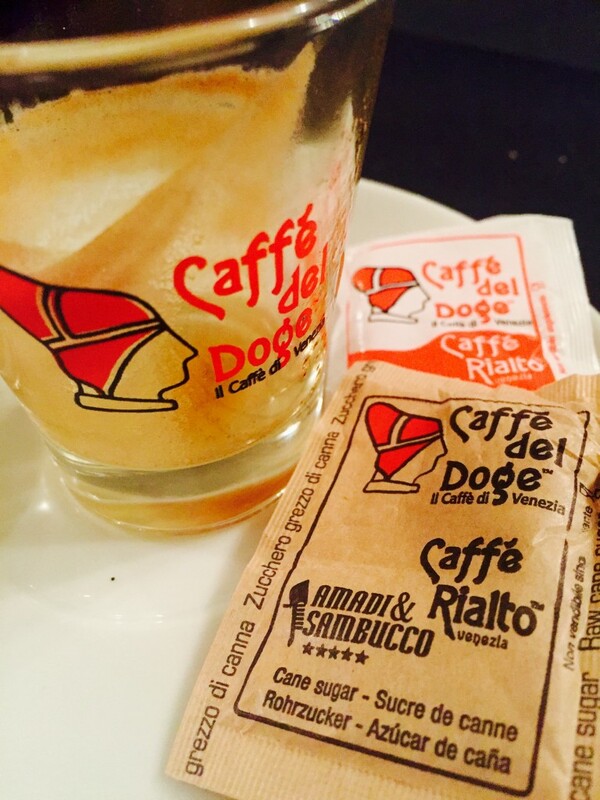 Head to Caffe del Doge which is tucked safely clear of the Rialto bridge traffic on the San Polo side. They make the best espresso or cappuccinos. We brought some coffee home and are rationing it at this point! If you are more in need of a boozy break, we had a couple of favorites. 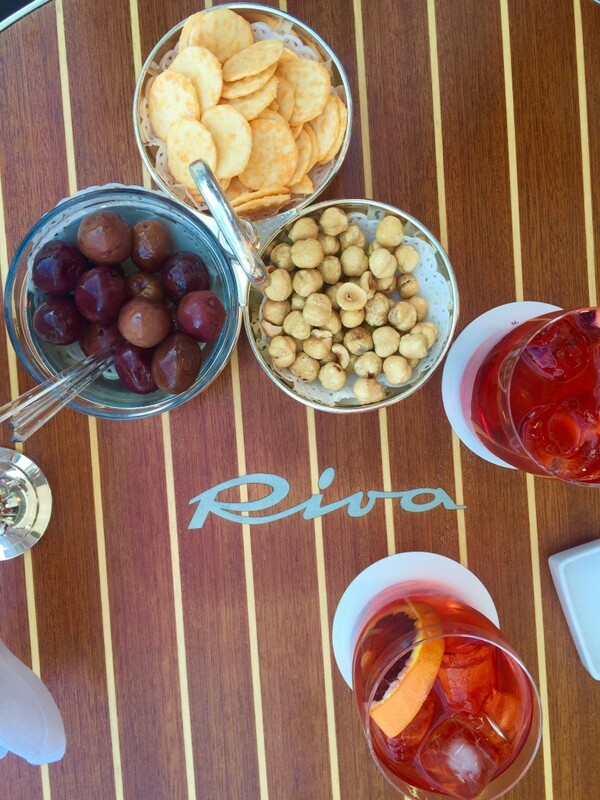 If you are feeling a little fancy a la Amal, then head to the Riva Bar on the Grand Canal at the Gritti Palace, and order an Aperol spritz.When Stephane does cocktail hour, he does it right. My speed is a little more local. I will drag my poor husband all over tarnation just trying to find the perfect little neighborhood wine bar. And I did! 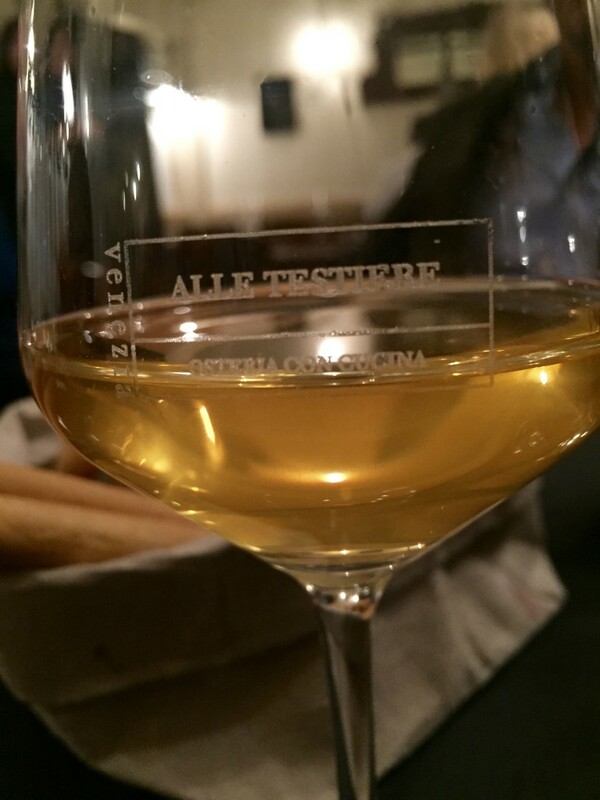 Right around the corner from our hotel was La Bottiglia; an adorable and hipster-ish canteen serving great wines, Venetian beers (they are decent! ), and beautiful cichetti (i.e. Venetian tapas) and cured hams. Viva aperitivi! Lastly, you need to bring home some souvenirs! There are so many wonderful tiny shops selling specific creations. One of our favorites was Pied a Terre, where you can buy original furlane slippers similar to gondola "drivers." The velvet ones with recycled bicycle tire soles are so much fun. 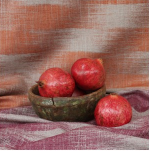 A couple more addresses... For beautifully made linens head to Chiarastella Cattana in San Marco. 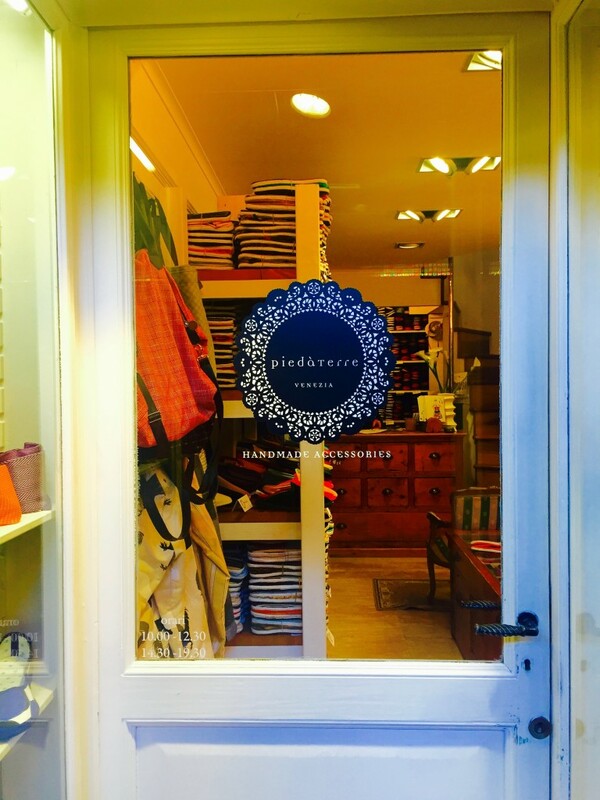 For beautiful paper, bee line over to Legatoria Polliero off the Campo dei Frari in San Polo. If only I had a bigger suit case! What I took away from Venice is that getting lost is a plus. Taking time to just listen to the water lapping on the canals is a pleasure. Notice the incredible light on the side of a basilica. The change of perspective is rejuvenating!